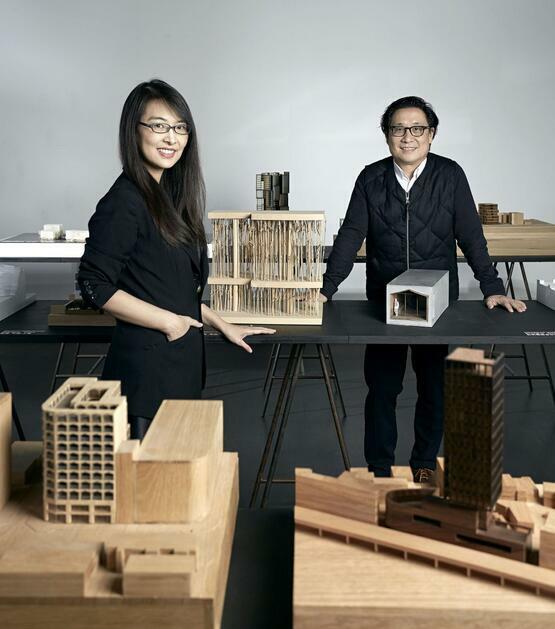 Shanghai architects and designers Lyndon Neri and Rossana Hu, founding partners of international design practice Neri&Hu and retail concept store Design Republic, were International Guests of Honour at the Interior Design Show (IDS) in Toronto in January. Lyndon Neri and Rossana Hu. The two have won numerous prestigious awards and accolades around the world. They are at the forefront of China’s emergence as a global design force, and personified the theme for the 21st annual IDS Toronto, the Power of Design. The event is Canada’s foremost showcase for designers, their projects and products. Lyndon Neri received a Master of Architecture from Harvard University and a Bachelor of Arts from the University of California at Berkley. Rossana Hu received a Master of Architecture and Urban Planning from Princeton University, and a Bachelor of Arts in Architecture and Music from the University of California at Berkeley. 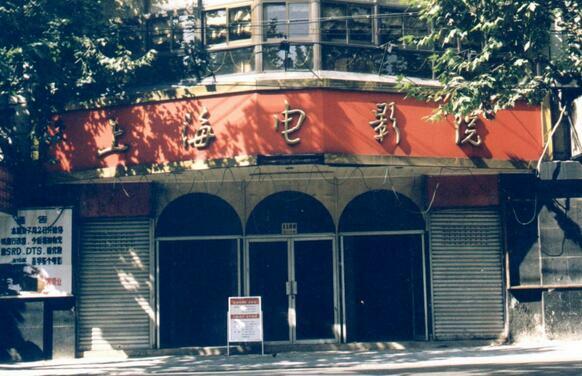 Both worked for U.S. architectural firms prior to founding Neri&Hu. Neri and Hu were inducted into the U.S. Interior Hall of Fame in 2013. As well as working as an architect, Neri is involved in teaching and research, including at the Department of Architecture of The University of Hong Kong Graduate School with Hu and both have served as guest critics for U.S. design schools such as Princeton University, University of California at Berkeley, and Syracuse University. Neri&Hu Design and Research Office, founded in 2004, is based in Shanghai, China with an additional office in London, UK. Services include architecture, interior design, master planning, and product design services. The firm performs industrial and product design for several prestigious European manufacturers, as well as its own neri&hu furniture and home product line. They work on projects in many countries and their multi-cultural staff speaks more than 30 different languages. The diversity of the team reinforces a core vision for the practice: to respond to a global worldview incorporating overlapping design disciplines for a new paradigm in architecture. Their main office’s location was chosen intentionally. With Shanghai viewed as a new global frontier, Neri&Hu operates in the middle of this contemporary chaos. The city’s cultural, urban, and historic contexts function as a point of departure for the architectural explorations involved in every project. 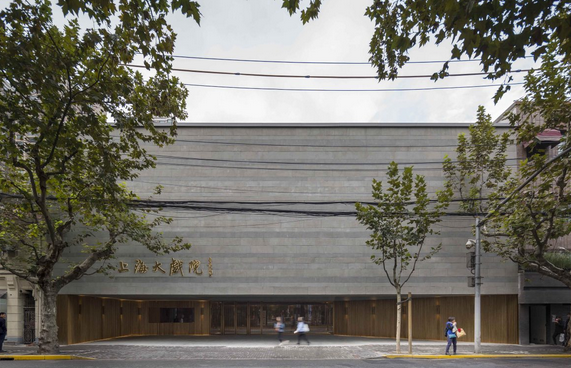 Neri&Hu challenges traditional boundaries of architecture to include other complementary disciplines. They believe strongly in research as a design tool and view the specificities of program, site, function, and history as essential to the creation of rigorous design work. Neri&Hu anchors its work on the interaction of experience, detail, material, form, and light, rather than conforming to a formulaic style. The ultimate significance behind each project comes from how the built forms create meaning through their physical representations. Neri is founder of Design Republic in Shanghai, a store that offers a unique collection of products created by the world’s best design talents, many of which have never before been made available to consumers in China. The flagship store design, created by Neri&Hu, earned the Perspective Awards Best Interior Retail and the DFA (Design For Asia) Best Design of Greater China. 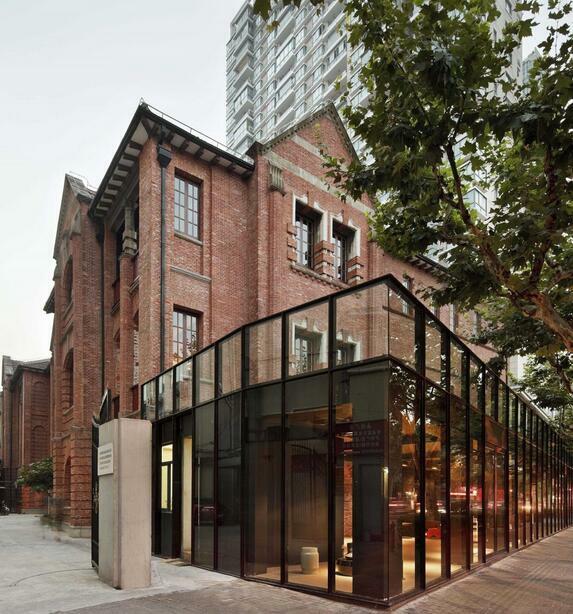 It’s in the Design Republic Design Commune in the centre of Shanghai that serves as a design hub. The Design Republic is a modern furniture retailer that also sells books, fashion, lighting, accessories, and flowers. The Commune sits within the historic remains of police headquarters built in the 1910s by the British. The decaying wood and plaster were removed and red brickwork restored, while new materials grafted to parts that needed reconstruction. The entire street level façade is enveloped by a modern glass insert to show the old brickwork and concrete. 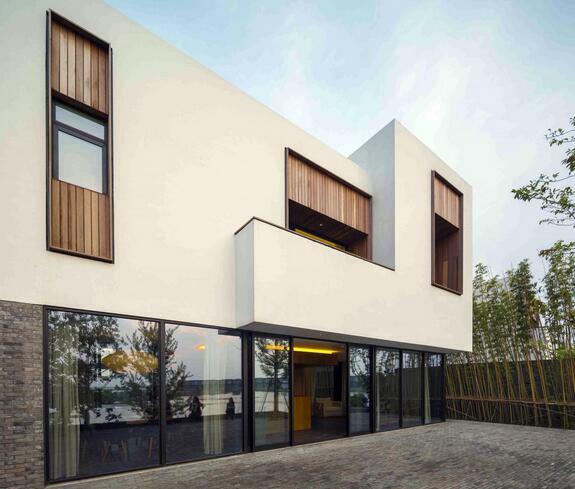 At the residential project, Yangcheng Lake Villas in Suzhou, Neri&Hu redefined suburban living with smaller units interwoven with the landscape and communal spaces, reflecting the Chinese notion of the village as extended family. The landscape utilizes classic Chinese garden elements (path, threshold, centre and infinity) to create a sequential journey where interior and exterior, natural and artificial, structured and organic, hardscape and softscape aspects are blended. The villas have undulating brick walls at their base and floating white boxes above. Traditional grey brick walls are used on the basement and first floor to house communal spaces such as living and dining rooms, tea room, media room, gym, and spa. Blackened wood floors, natural warm oak woods, neutral fabrics and leathers, bronze and black steel accents complement the rustic brick. In the upper level housing the family room, master suite, children’s bedrooms and guest room, the palette includes white paint, sheer fabric, white terrazzo tiles, light-stained oak and brushed stainless steel. Movable panels and curtains allow the spaces to be easily reconfigured.